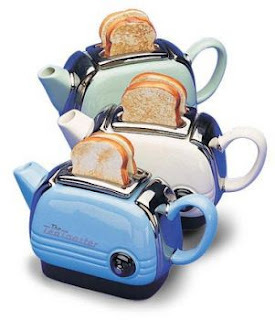 This home appliance is perfect for those who start their day with tea and toast and don't have time to turn on two separate appliances to prepare their breakfast. We wouldn't mind having it means we wouldn't have to miss our bus again. This is one great idea for bookworms like ourselves. 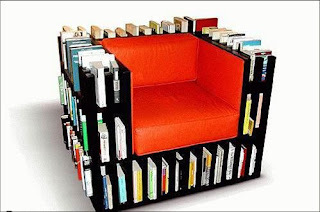 The book themselves would add character to the chair. You just need to deal with the upholstery. Click "Read More" to view get more gift ideas for your home buddies! Now this takes the cake for space savers. 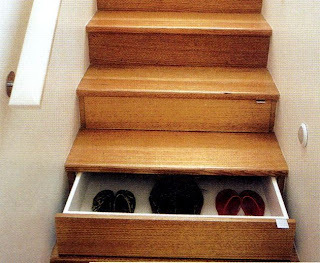 Who would have thought that the stairs would be a great candidate for storage particularly shoes. Have you guys ever seen a banana's heart - that red sconce hanging from the banana tree? It looks a lot like this lamp. 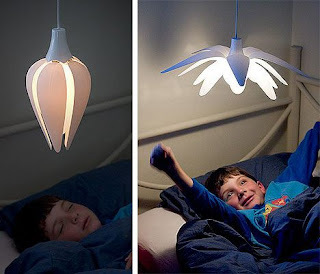 As the picture suggests, you close the flaps to dim the light and do the opposite for more lighting. Nice one! If you're having a party, this homeware will work perfect. You save time in pouring booze for guests. As they say, "knocking out guests with one flask." :) Just make sure you don't let them drink and drive. A firm handshake exudes confidence. 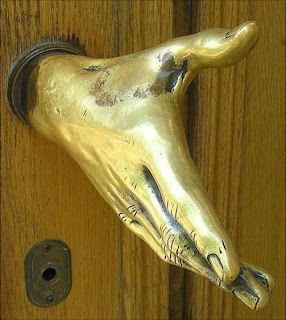 What about this door knob made of copper hands? I guess this speaks well of the homeowner. You are gladly welcome as long as you give it a good grip. If you just had a row with your partner. 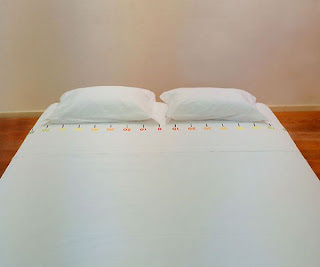 This bed sheet is the perfect way to mark your spaces. But who would like to sleep with a heavy heart. Better that you settle your issues before going to bed and just use it to measure how close you're gonna get.